ORLANDO, Fla. — Veterans Affairs Sec. 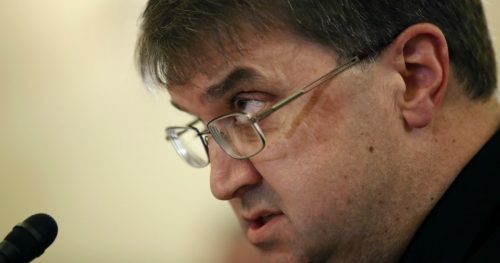 Robert Wilkie told a large gathering of student veterans Friday that his No. 1 priority for the VA in 2019 is quality customer service. That’s why the VA will correct inaccurate payments made to thousands of student veterans last fall. Stymied by technical problems, the department has been giving students the wrong housing stipend amounts for months and continues to do so — long after the Aug. 1 deadline Congress gave VA to calculate housing stipends under revised rules. “The bottom line is: We owe you every penny that you’ve earned. That is what the nation has promised you, and that is what you deserve,” Wilkie said, addressing some 2,300 student veterans attending the annual Student Veterans of America National Conference via livestream, after his plans to attend in-person were cancelled last minute because of travel restrictions amid the government shutdown. The Forever GI Bill, which became law in 2017, required VA to change the way it calculates housing stipends in two ways. One mandated that VA alter stipends for new students to match what the Department of Defense pays its E-5s with dependents. The other instructed VA to calculate stipends based on the campus where students take most of their classes, rather than the school’s main campus, which has traditionally been used to determine housing stipends. VA wasn’t able to make either change by the initial deadline. But fixes are on the way, according to Wilkie. GI Bill users who were shorted as a result of the first of those problems will receive a check in the mail for the difference by the end of the month, Wilkie said. Any veterans who were overpaid will be allowed to keep the extra money. A solution to the campus problem will not come until December 2019. VA recently ended its contract with Booz Allen Hamilton, its initial partner for this part of the project. The department plans to have a new contract awarded by next month to another vendor, which it expects to correct the campus-based stipend problems in time for the spring 2020 semester. At that point, the department will retroactively correct payments for students who would have received a larger housing allowance attending a branch campus, rather than their school’s main campus. “While the reset was needed, our work is not done. This new situation means a new process, and SVA will continue to be there ready to speak up on behalf of those most directly impacted by VA’s decisions,” Lyon said. He urged any veterans experiencing financial hardship because of the delays to reach out to the department to get their payments expedited. Happy New Year 2019! We hope you all had a very Merry Christmas and we wish you a Healthy and Prosperous New Year. 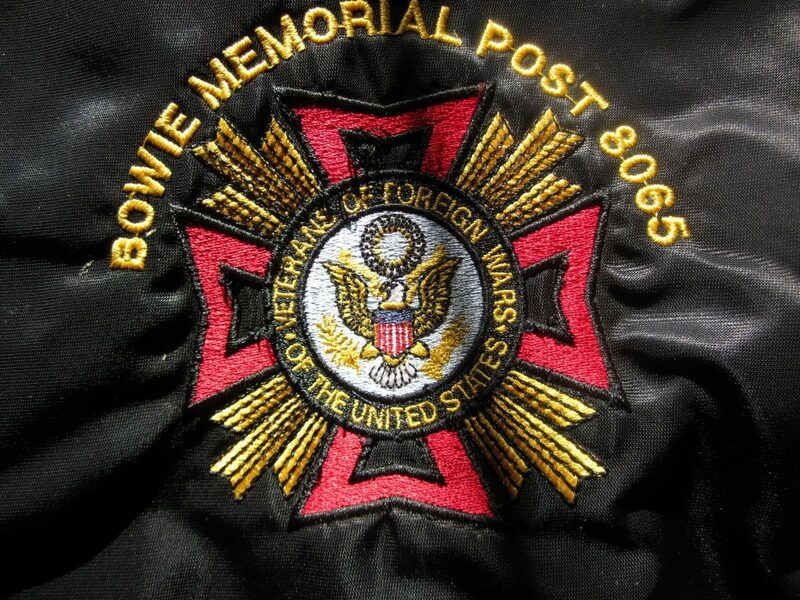 The Bowie Memorial VFW Post 8065 will kick off 2019 with the Post meeting on Thursday January 3, 2019 at 7:30 p.m. at the DAV Omaha Beach Chapter #7 Home. Hope to see you all there. Bring an eligible relative, friend or neighbor and invite them to join our post. Contact Quartermaster Connolly if you know someone that is interested in joining our post. We will need to obtain a copy of their DD 214 to document their overseas service and campaign ribbons/service medals. Our dues for an annual membership is $35.00. The Department of Maryland 50% Life Membership program will continue in 2019. One change in the program has been made. A new member joining a Maryland VFW post will no longer be eligible for the 50% Life Membership program. A continuous member will have to be current on their dues for the past two years to be eligible for this program. Our VFW District #2 will also contribute 25% towards a Life Membership so if you are a continuous member and your dues have been current for the past two years you can get a Life Membership for 25%. Contact QM Connolly on 301-262-3520 if you are interested in this program. We hope to see you at the January 3, 2019 meeting. Pizza and refreshments will be served after the meeting. Military service ingrains in all of us that we’re stronger together. Membership in DAV builds upon that principle by leveraging our strength in numbers to empower us through camaraderie and legislative action. But did you know that you’re also helping fellow veterans with your DAV membership dues? While part of your dues helps produce DAV Magazine, which keeps you informed about topics important to you and your family, a portion of these funds is also redistributed to departments and chapters to directly support DAV programs and services that are offered in your community. For example, membership dues can help purchase new vehicles for the DAV Transportation Network and support our incredible network of volunteers. The importance of that cannot be overstated. I think of Marine Corps veteran James Childers, who used one of those vehicles to drive nearly 1,500 veterans to and from their VA medical appointments. He had volunteered more than 7,000 hours and traveled more than 186,000 miles as a volunteer driver when his house tragically burned down last year. Although James and his wife Linda were unharmed in the fire, they lost just about everything they had. But because of DAV’s Disaster Relief Program, they were able to receive financial assistance and find temporary lodging to ease some of their immediate needs. Membership dues also support initiatives to assist homeless veterans and provide supplies for our service officers. Navy veteran Joseph Lightwies had been homeless for decades before connecting with DAV National Service Officer Joe Kauffman in 2015. This encounter proved to be the catalyst that changed his life. Lightwies had a VA claim pending since his military discharge in 1968, so when his disability compensation was finally approved, the back pay made it possible for him to pick up keys to a new home. As a DAV member, you can get involved and work with local DAV leaders who help decide how these funds are used. They identify the greatest needs of the veterans in your area. DAV’s programs and services are free to those who need them, and membership dues are one way we all help ensure DAV continues to be there, in your community, fulfilling our promises to the men and women who served. Thanks for making a direct impact in the lives of our fellow veterans. The post What your membership dues do appeared first on DAV.